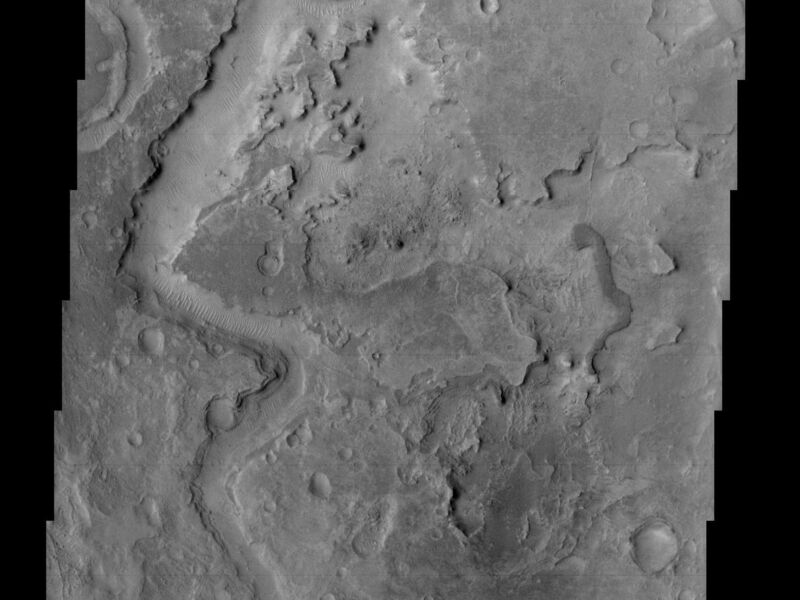 This image shows another example of an ancient channel in the Arabia Terra region of Mars. As with other channels observed on Mars, the geomorphology of Huo Hsing Vallis is suggestive of, and assumed to have been carved by, running water, although the fluid that flowed through these channels cannot be proven to have been water. This channel cuts through several layers of rocks. These rock layers may be sedimentary, composed of particles of other rocks that have been cemented together somehow, or they may be igneous layers, formed by the repeated eruption of lava (or some combination of sedimentary and igneous layers). 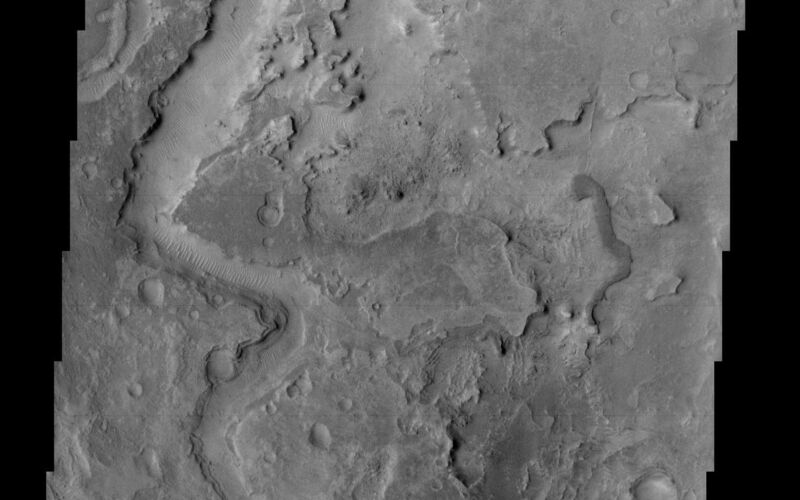 The distinctive appearance of this terrain has led to its being described as "etched." Because the channel cuts through these rocks, the layered rocks must be older than the channel (see previous discussion of superposition). 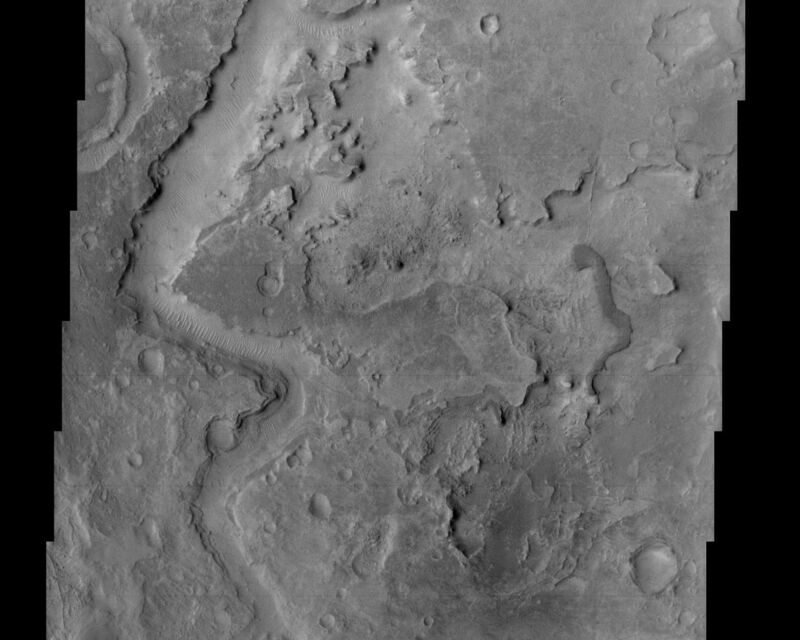 At the lower left side of the image, several intersecting ridges can be seen. These ridges may be inverted topography, or they may be exposed dikes, which form by linear intrusions of lava into rock underground; dikes are exposed by erosion of the overlying rock. The most recent activity in the region appears to be the formation of mega-ripples in the channel. Wind moving particles of rock forms these ripples perpendicular to the wind direction.